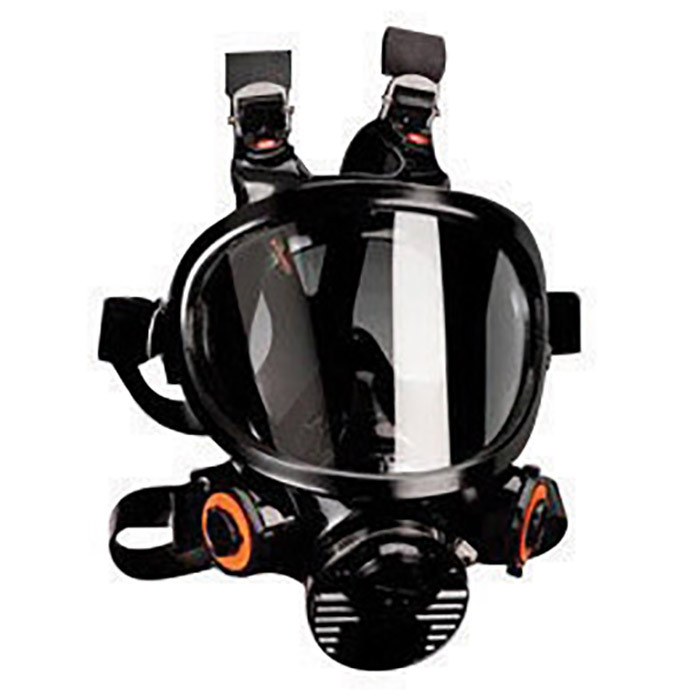 7000 Series full facepiece is available in a silicone facepiece with a double-flap face seal, nosecup and six adjustable straps (with two overhead straps). Provides a reliable fit for maximum protection. Features a large face shield with scratch-resistant polycarbonate lens and speaking diaphragm for communication. The 7000 full facepiece works conveniently with 2000 Series filters and 6000 Series cartridges that are sold separately. This product contains natural rubber latex which may cause an allergic reaction.